Because the old owner hasn't been on in months. . . So join this fanclub, and bow down before the Incredible Organization Moogle! He exists to scam Roxas out of every last munny he holds on to. And he succeeds. 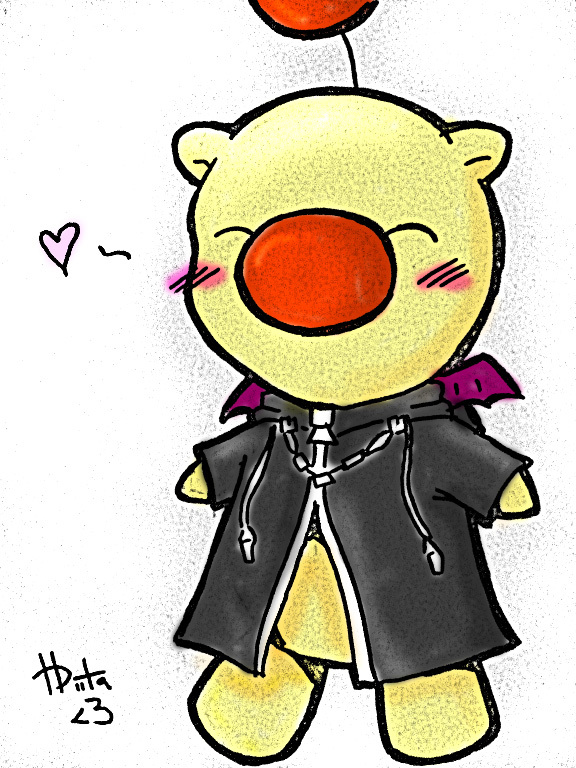 This is the Moogle that brings Moogle fandom to its limits: A Moogle in a Black Coat! He is able to infiltrate into the Organization and barter wares, and the Organization are highly reliant on him and all the shipments he receive to ensure up to date supplies are being provided in their constant battle against the heartless swarms. He is their unsung saviour who gives them the weapons they need to defeat the endless heartless waves! Of course, we are always willing to accept donations ¥¥¥ just make it payable to The Organization Moogle™. They will fund our crusade to obtain more fanarts (just so we don't have to rip off things anymore) and cool things like signatures! The rest will be donated to the The Organization Moogle Charity for the Organization Moogle Association™. Total Moogles: 51 and counting! Note: Due to new management, we are now taking requests for moogle titles again! Sign me up, I'll be glad to make a moogle management position if you want me too. I want to rename myself again. Can I (re)name myself? 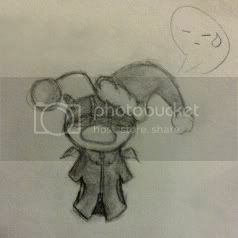 The Poetic Moogle... Or the Narci-- NO. >_> "The Poetic Moogle" =D Please? Yeah, and I edited some of it. Do you still want it or not? May I become the Creator Moogle? 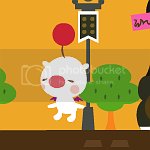 The brilliant Moogle hath returned!!!!!!!!!!!!!!!!!!!!!! Rose, I have to find the right computer that has the story. It'll take a while to find it. Sorry. Last edited by Roa; September 20, 2010 at 05:21 AM. No, I saw it. You just didn't SAY anything. No welcoming, no 'How are you guys? ', no nothing. I just though you cared a little. Well then that's not vanishing. That's just not directly speaking. Almost. It's a little different. It's cream color.